From our humble beginnings, we now handle six-figure annual programmes for some of the largest contractors in the country including Mitie, DW Support Services and Morgan Sindall as well as local authorities including Basildon, Enfield & Hammersmith & Fulham councils. 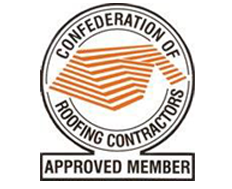 Working with all roof types and materials, we pride ourselves on the calibre of our work and the efficiency of our staff. “Morgan Sindall Property Services staff have been delighted with the quality of Ashton Roofing work and the timely and accurate administrative support provided. “A quick note to thank you for re-positioning our guttering around our listed farmhouse. I have read, understand and accept the Terms and Conditions. All rights reserved ASHTON ROOFING AND MAINTENANCE © 2015.